The University’s Federal Relations Office shelled out $550,000 last year—up $10,000 from 2015—lobbying Congress on legislation related to immigration, science research funding, Harvard’s tax-exempt status, and financial aid, according to public records filed with Congress. The Federal Relations Office, located in Washington, D.C., works to lobby the federal government year-round. Harvard paid $120,000 to O’Neill, Athy & Casey, a boutique D.C. law firm specializing in lobbying Congress that Harvard has retained for years. 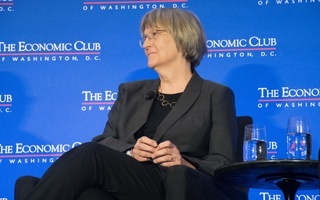 While the 2016 figures closely aligned with expenditures in previous years, University President Drew G. Faust said last semester she is “ramping up” advocacy efforts in 2017 under President Donald Trump. 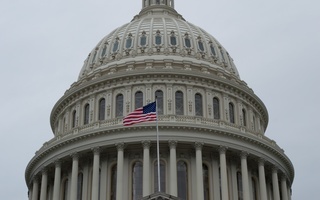 Most recently, Faust traveled to Washington in January to meet with several members of Congress, including Senate Majority Leader Mitch McConnell and Senate Minority Leader Charles E. Schumer ’71. Kevin Casey, Harvard’s associate vice president for public affairs and communication, said spending typically increases during presidential transition years, but will likely increase more than usual under this administration. In 2016, the University backed a variety of bills, including budget appropriations for research funding, the 21st Century Cures Act—which Congress passed in December to provide funds for biomedical research—and legislation related to university endowments and student aid regulations. Harvard also advocated around “Immigration reform issues, DREAM Act, H1B Visas and International Student Issues,” according to congressional lobbying disclosure reports. Harvard spent more on lobbying than any other Ivy League school except the University of Pennsylvania, which spent $580,000. Yale spent $500,000, and Brown just $12,789. Dartmouth did not spend any money on lobbying in 2016. Faust also works directly with lawmakers and advocates on behalf of University policy interests. Most recently, Faust signed a letter to President Donald Trump opposing his executive order, which bars immigrants from seven predominantly-Muslim countries and is currently facing scrutiny in federal court. Harvard jointly filed an amicus brief to a lawsuit against the order. 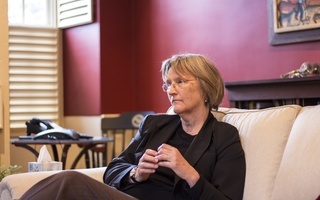 In a faculty meeting Tuesday, Faust reiterated three policy priorities for the University that she originally announced in December. 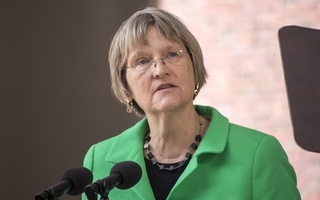 “I noted that there would be three areas of focus—continued advocacy for research support, making the case for the endowment and what it enables, [and] supporting the members of our community, especially those made vulnerable by new initiatives that have been appearing,” Faust said. During his campaign, Trump pledged to get rid of the Deferred Action for Childhood Arrivals program, a program created by former President Barack Obama that provides legal protection to undocumented young people. Republican lawmakers have also questioned the tax-exempt status of large university endowments, and some professors fear that research funding, particularly for climate research, may be in jeopardy.